Don't forget to replace our "unconfusing.com" domain and server with your own domain. 1. 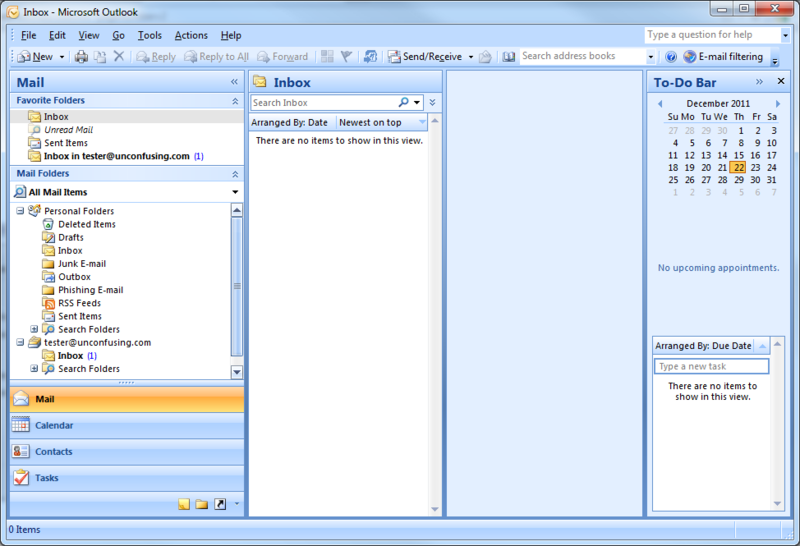 To begin, open Outlook 2007. The screen above should apppear. 3. Select the "Yes" option. 5. After entering all of the requested information, click "Next". 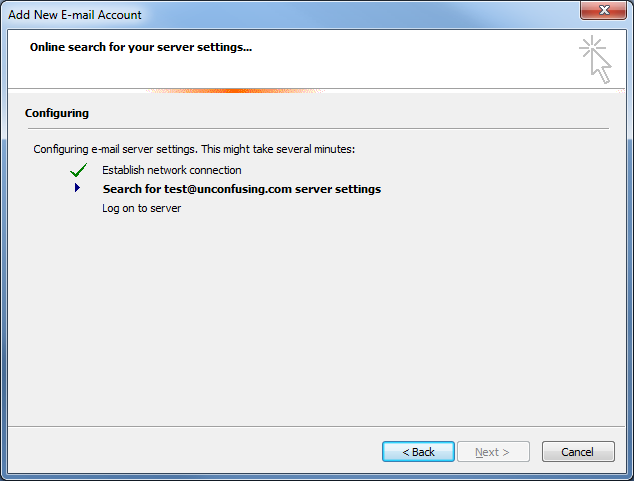 There is the option to "Manually configure server settings or additional server types". It is up to you whether to check this box. If you do not check the box, skip to step 6. If you did check the box, you will see the screen above. 6. 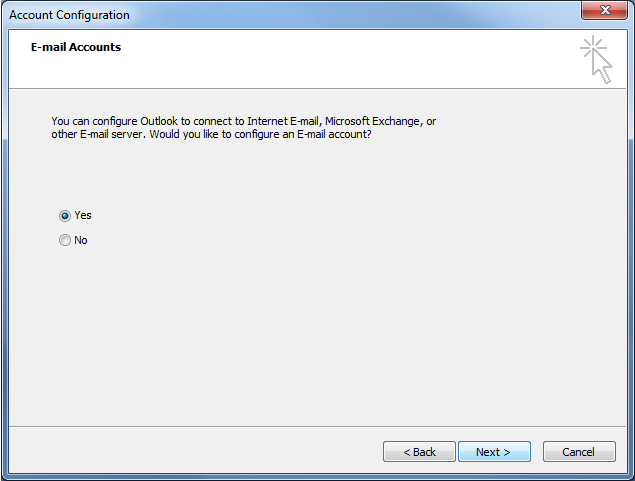 Select the "Internet E-mail" option. 8. Enter your name and email address in the space provided. 10. Continue to enter your username and password. 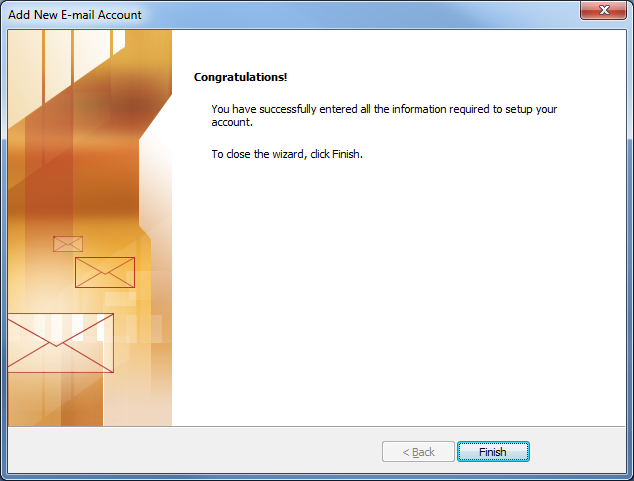 Make sure that you use your FULL email address for the user name. 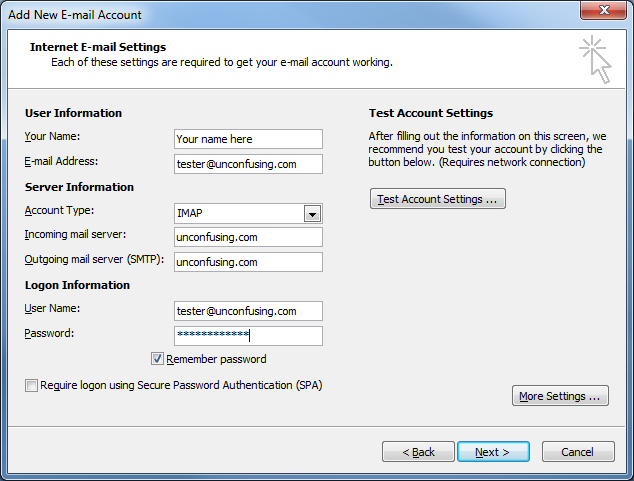 And don�t worry about putting "mail" or "smtp" in front of the server names. They will work just fine with your domain name, which should be the same for both server boxes. 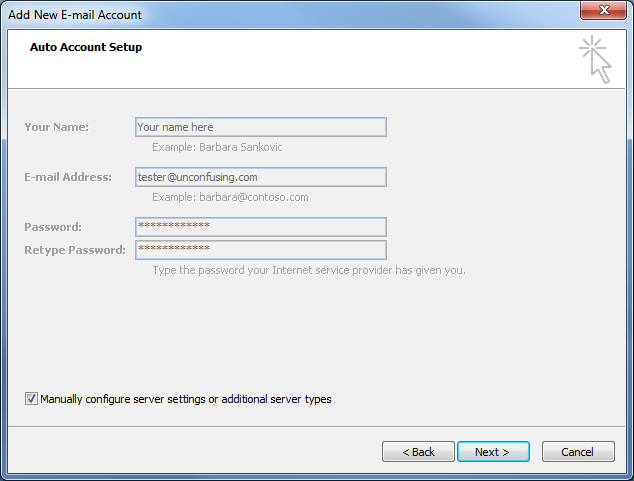 You should always "Test Account Settings" before moving on, if you are using a POP3 account. 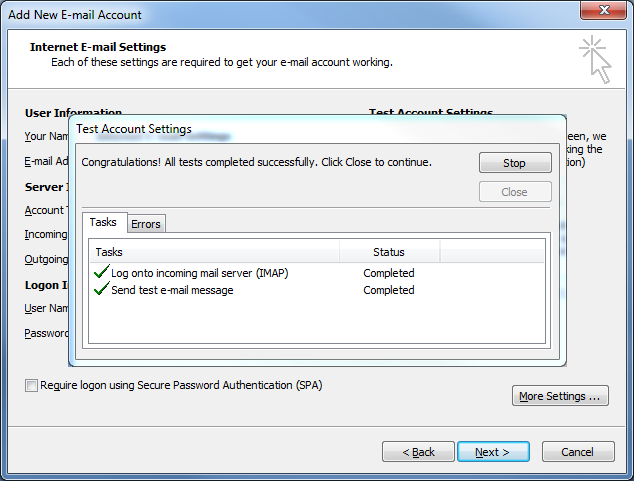 * The servers support both POP3 and IMAP mail types. 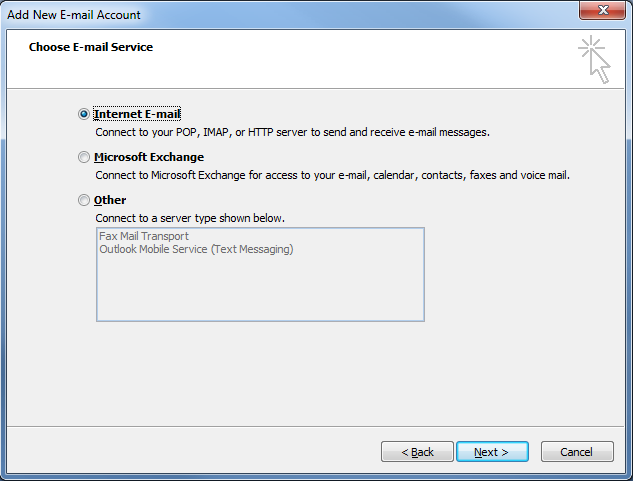 Select POP3 if you do not plan on using webmail OR plan on "leaving a copy of messages on the server" which you can find under the Advanced menu in the "More Settings" dialog. Please remember you may not receive all of your email if you do not delete your email regularly! 11. After the test is completed, this screen should appear. 12. Click the "More Settings" button. 13. Select the "Outgoing Server" tab. 14. Select "My outgoing server...". 15. When the other options are open, select "Use the same settings as...". 16. Click OK. You're done here! 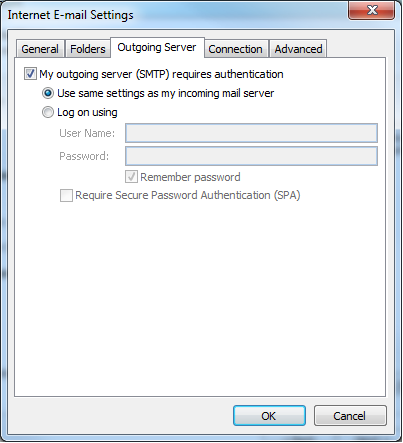 This option MUST be completed if you are to send mail through our servers. 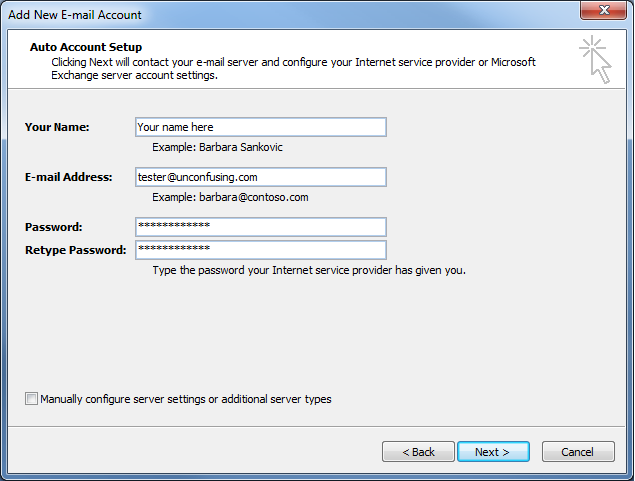 If you are planning on using your internet provider�s outgoing server, feel free to follow their instructions. Make sure you have entered your server choice on the previous screen. 17. Once you've reached this screen, click the "Next" button. 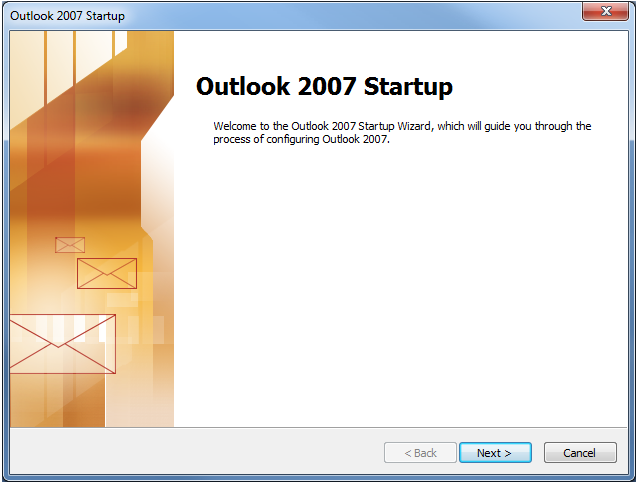 Outlook 2007 should open up to your inbox.